'Tis the season for metallic, fa la la la la la la la la! Yup! 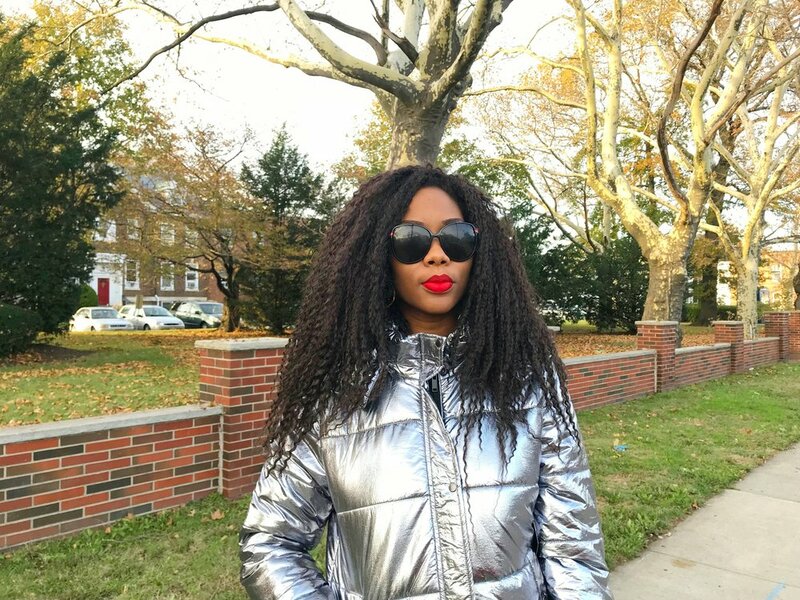 If I'm discussing metallic jackets two posts in a row then you know it's totally trending - just in case you haven't noticed it in stores already. It's the perfect look for winter. Besides Christmas, most of us don't look forward to winter. Folks like me try to make the best out of it by finding fun outfits to spice up our wardrobe. And what's more fun than a shimmering eye shattering silver metallic jacket? It stops people on their tracks and demands attention. 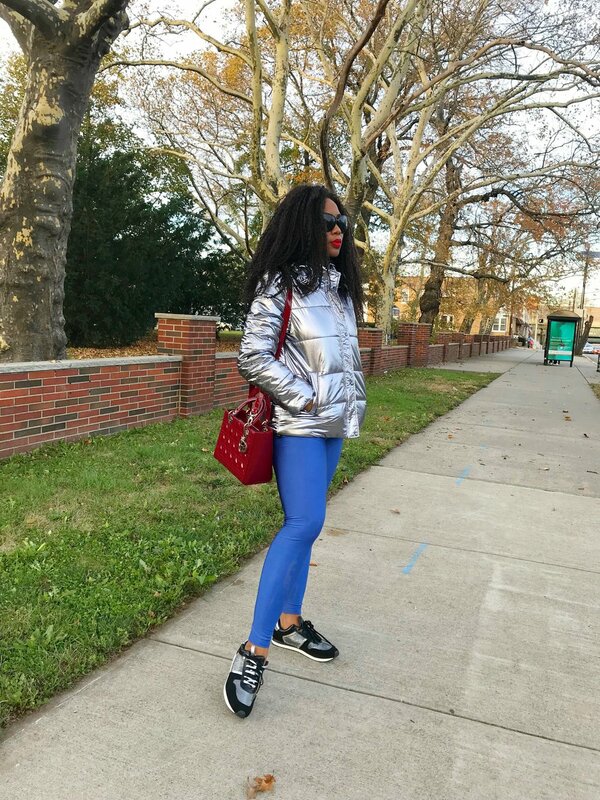 In today's post I paired mine with these cool blue metallic leggings along with black and silver metallic sneakers @ payless. It's the perfect laid back winter look. I added a touch of color with my red patent Christian Dior bag and red lip stain by Sephora. I was pretty pleased with the result. Don't have a metallic jacket yet? Hurry and get one before it's too late! It's a trend worth getting on board with.